The Handy Lift - Most RV steps are steep and hard on the knees, but steps are no longer a problem when accessing your RV with the Handy Lift! 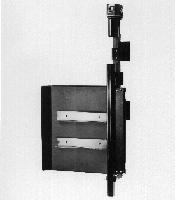 Just press the switch and the Handy Lift will easily lift you up to 30 inches at a safe lifting speed to become level with the entrance. 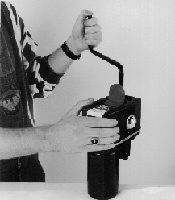 The Handy Lift folds and locks away for traveling and is operated by a hand held control. There is also an emergency crank handle in case of battery failure. Handy Lift comes complete with all parts and instructions for installation, and a full one-year warranty. 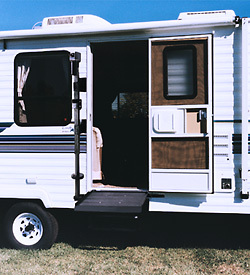 The steps on the RV do not have to be removed if they will fold up and not protrude beyond the threshold of the doorway. Deck folds up and pivots 90 degrees against the wall of the RV, opposite the hinged side of the doorway. 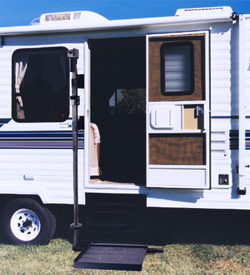 When in traveling position, the platform protrudes from the wall of the RV 10 to 11 inches. Heavy duty weight capacity of 300 lbs. Compatible with virtually any RV on the market today. Reinforcement of RV is necessary. Holes are drilled through the RV from the outside. 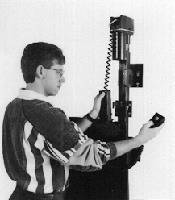 The Handy lift comes with the mounting plates that are used for reinforcement and all of the necessary hardware. 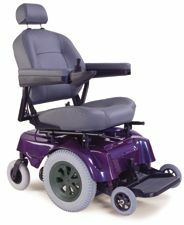 The Handy Lift is not designed to lift wheelchairs. 12 volt DC or optional 110 volt AC power. Black powder coat for extra protection. Aluminum Deck Size 25.5" x 26"
Weight of Lift 105 lbs. Rate of lift speed 37" per minute.